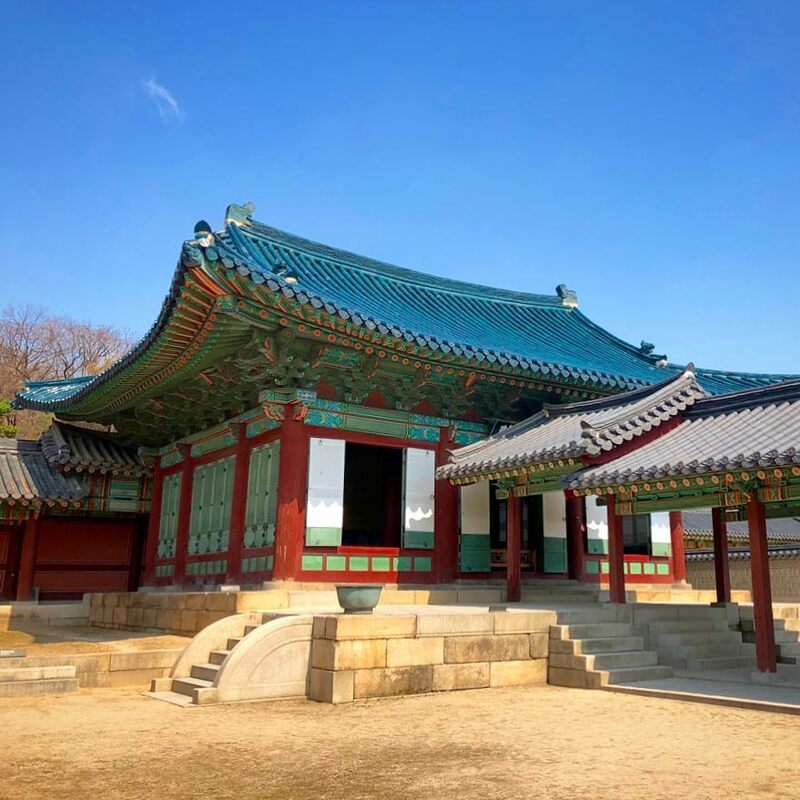 Changdeokgung Palace, with Huwon Secret Garden, has been one of the most tourist-attracting historic sites in Seoul and visiting this attraction is one of awesome things to do in Seoul. Korea has thousands of years of history and culture. Which explains why the city of Seoul is home to so many historic sites. The city attracts a large number of tourists every year. And today, we will be guiding you to one of the oldest and most beautiful historic sites of Seoul. Let’s start, shall we? Changdeokgung, also known as Changdeokgung Palace or Changdeok Palace. The name literally means Prospering Virtue Palace. 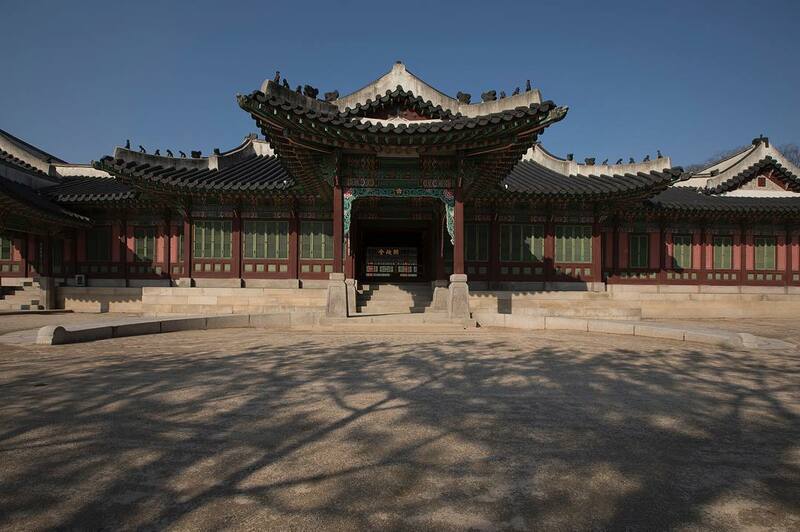 It is one of the “Five Grand Palaces” built by the kings of the Joseon Dynasty. 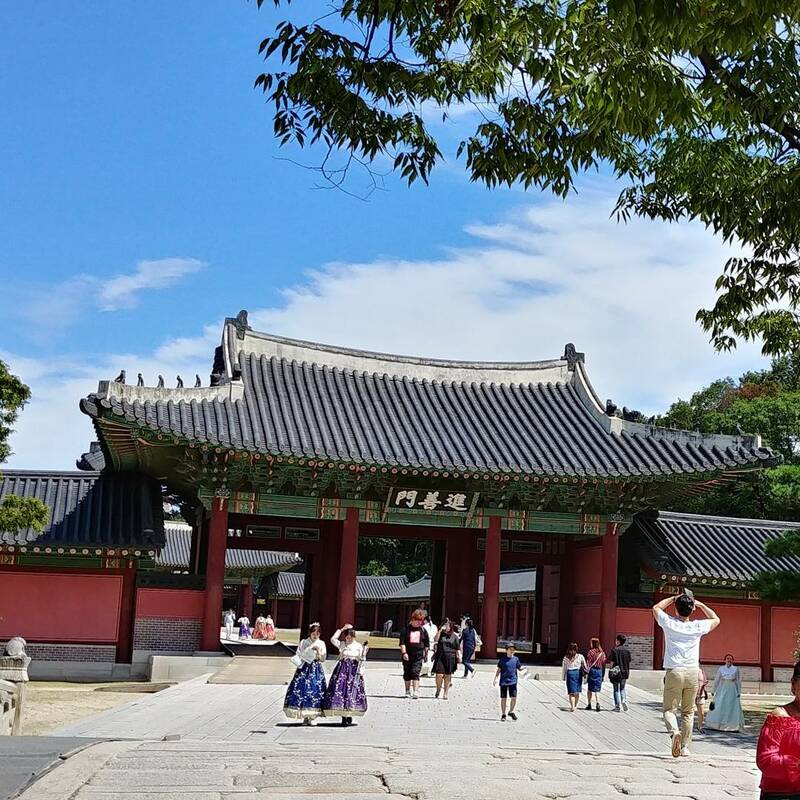 Due to its location being the east of Gyeongbokgung Palace, people also refer to Changdeokgung Palace as the “East Palace”. 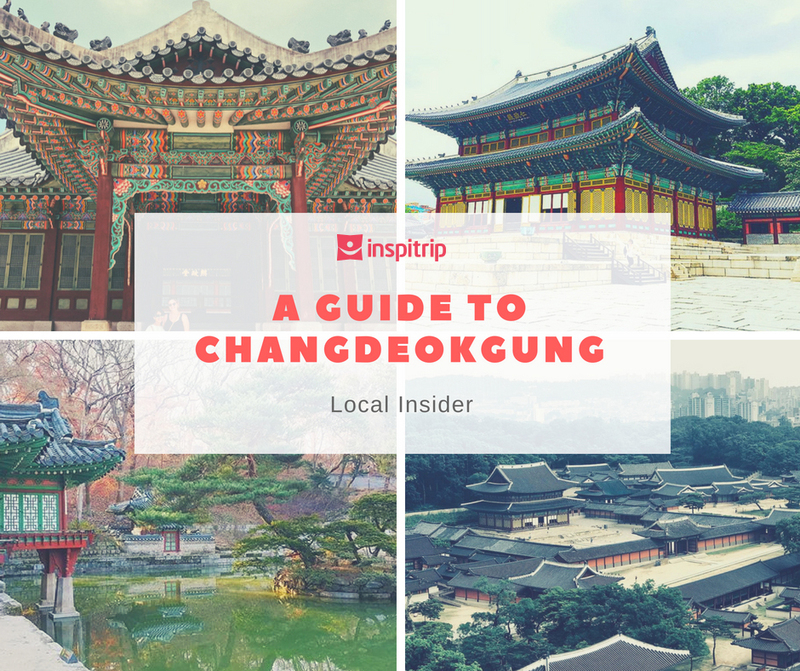 Apparently, you should add Changdeokgung Palace to your Seoul city day tour. Changdeokgung was the second palace after Gyeongbokgung which had been established in 1395 as a primary palace. The construction began in 1405 and completed in 1412. In 1592, during the Japanese invasion, the palace was burnt to the ground. Later, In 1609, King Seonjo and King Gwanghaegun reconstructed the palace. In 1623, King Injo led a political revolt against Gwanghaegun, and Changdeokgung Palace was once again burnt down to the ground. The Chinese also attacked the palace several times. Through many repairs and reconstructions, Changdeokgung Palace still stays true to its original design. 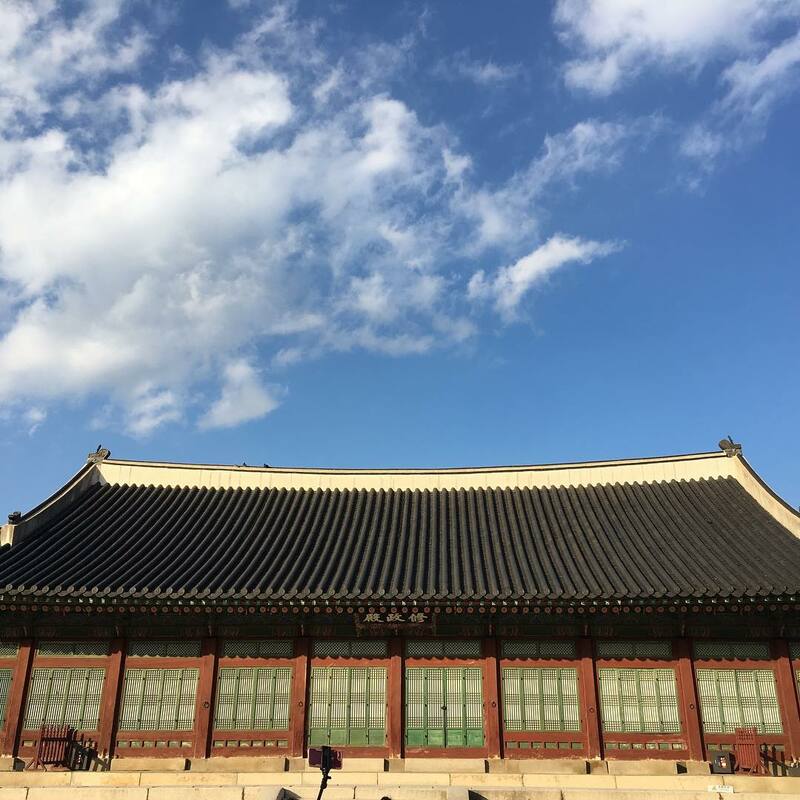 When they were rebuilding the nearby Gyeongbokgung Palace, Changdeokgung Palace was the site of the royal court and the seat of government until 1868. Emperor Sunjong, the last emperor of Korea, lived here until his death in 1926. Other members of the former Royal family were allowed to live in parts of the palace. Former Crown Prince Yi Un lived in the Nakseonjae Buildings with his wife Princess Bangja and sister Princess Deokhye until their deaths. Differing Presidential orders supporting and objecting their use of historic facilities repeatedly interrupt this arrangement. The modern-day Changdeokgung Palace has 13 buildings remaining on its ground and 28 pavilions in the gardens. The palace occupies 110 acres (45 hectares) in total. 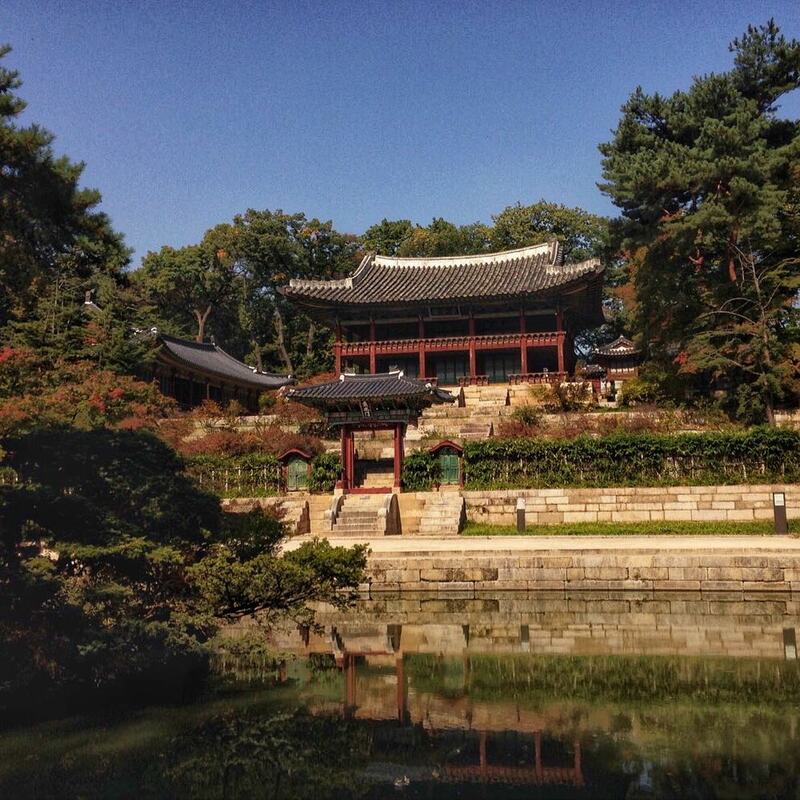 The palace is considered one of the most beautiful palaces in Seoul thanks to its garden and natural surroundings. In 1997, Changdeokgung Palace became a UNESCO World Heritage site. In 1592, during the war between Korea and Japan (the Imjin War), Japanese troops destroy and set the gate on fire. Years later, Emperor Gwanghaegun orders the gate’s restoration. The process took 2 years, from 1607 to 1609, giving it the current appearance. The gate has a simple yet elegant 2 story wooden design. According to data, in 1413, there was a 7.5-ton bronze bell hung here, but it was later removed. The rock roads going through the gate, which passengers use, were made in the 1890s. Originally, only royal vehicles allowed to go through the gate. Nowadays, the gate act as one of the oldest, if not the oldest, existing entrances to Changdeokgung Palace. The gate is also Korea National Treasure #383. While many government offices were located outside Changdeokgung Palace, some offices were built on the palace grounds and were collectively known as Gwolnaegaksa Complex. The Emperor choose these offices to handle royal family and political affairs. Because so many of the king’s support offices were concentrated in such a small area, Gwolnaegaksa had a labyrinthine feel to it. 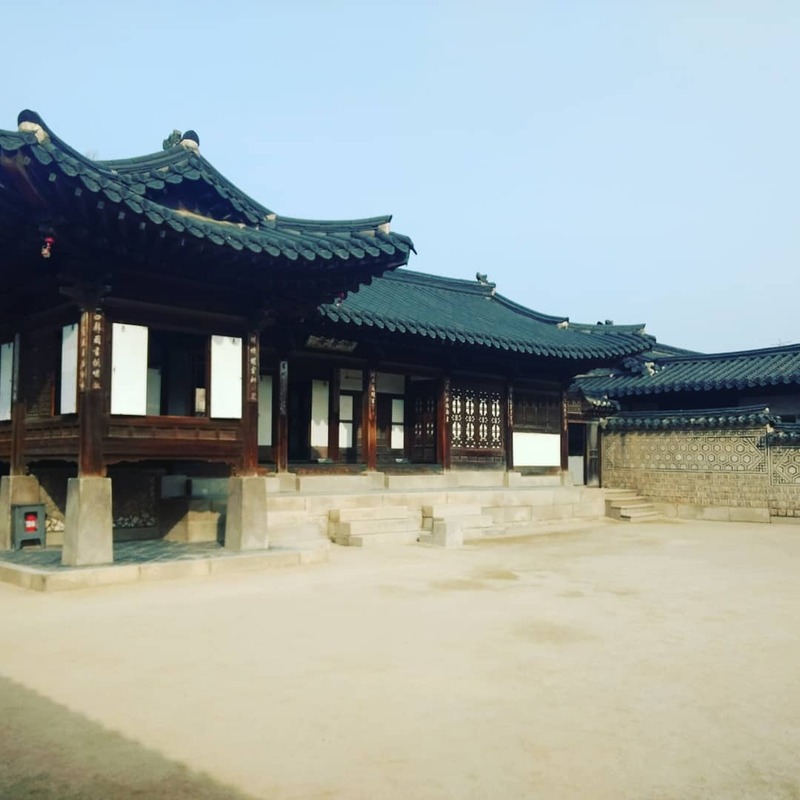 The buildings in this complex are Naeuiwon (Royal Infirmary), Hongmungwan (Office of Special Advisers), Geomseocheong (Publication Office), Gyujanggak (Royal Library), and Bongmodang (Hall of Upholding the Policies of Former Kings). During the Japanese occupation of Korea in the early 20th century, the Japanese decided to vastly simplify Gyujanggak by destroying most of the building. They move its collection to the library of today’s Seoul National University. After destroying the building they covered the place with roads. In 2005 the restoration process of Gwolnaegaksa Complex began. They rebuild the complex to its original design. In Changdeokgung Palace, there’s a place to stay only for women and later become a place for the Emperor to rest and work. And that place is Huijeongdang Hall. This place is where the Emperor meet his official. It’s also the place where they handle official royal affairs and discuss political issues. A fire in 1917 destroyed the original building. When the Japanese government rebuilt it in 1920, they use materials from the king’s residence at Gyeongbokgung Palace. The new building is completely different than the original one. On the outside, Huijeongdang Hall still looks like a traditional Korea building. But the interior is where the change took place, they built the entire interior in Western style. This kind of interior design where east meets west is rarely seen in early 19th century Korea. The interior features many amenities such as glass windows, wood floors, electricity, lights, a chandelier, bathroom, and curtain. There’s even a car parked in the front. Originally, the Emperor would meet his officials and discuss matters in Seonjeongjeon Hall. But when the meeting requires more room, the king decided to relocate to Huijeongdang Hall. Behind Changdeokgung Palace lies the beautiful 78-acres (32 hectares) garden of Huwon. The garden is enormous and takes up approximately 60% of the palace ground. They originally construct the garden for the use of royal family and palace women. The garden contains a lotus pond, pavilions, and multiple landscape lawns, trees, and flowers. In the garden, there are over 26,000 specimens of more than 100 different species. Some of the trees are over 300 years old. People call the garden ‘Geumwon’ (Forbidden garden) because it’s only for the private use of the king. Even high ranking officials were not allowed to enter the garden without the emperor’s permission. Huwon Garden also have other names like ‘Naewon’ (Inner Garden) and ‘Biwon’ (Secret Garden). Despite its various names, the one that people use through Joseon dynasty was ‘Huwon’. The king hosted a variety of ceremonies in Huwon. In the early period of the Joseon dynasty, military inspections in which the king participated were often held here. King Sejo had troops parade before him or commanded them by himself in this garden. In addition, they also host feasts, archery tournaments, and fireworks displays in Huwon. The highlight of the garden is the two-story Juhamnu P1avilion, the king use it as a library and reading room. The pavilion is located on a small, peaceful square lily pond. In 1592, the Japanese destroyed most of the building in the garden, during their invasion of Korea. In 1623, the first year of King Injo’s reign, he ordered the restoration of the garden. The restoration process continues through many kings until creating the current look. 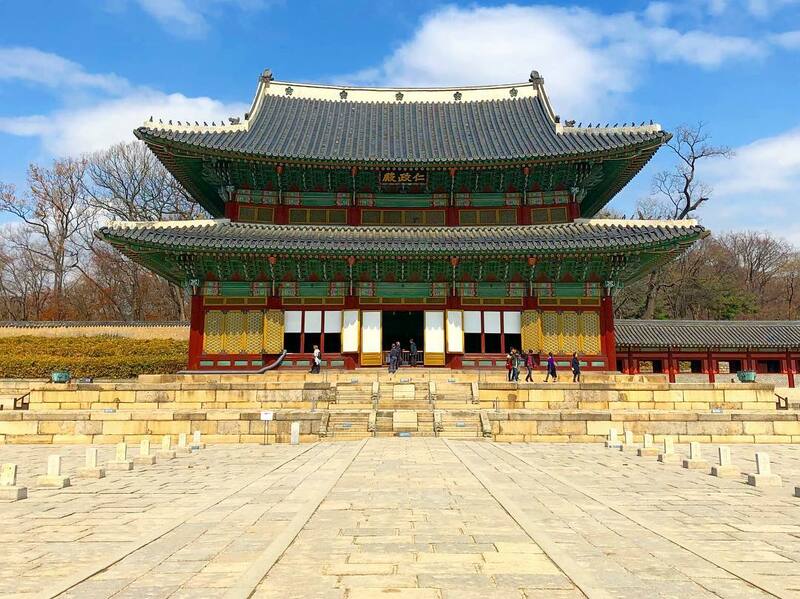 In 1405, during the 5th year of his reign, Emperor Taejong ordered the construction of this hall along with Changdeokgung Palace. The Japanese destroy this hall the first time in 1592 in their invasion of Korea. In 1804, which is the 4th year of Emperor Sunjo, the hall was destroyed and rebuilt. Injeongjeon Hall is the main hall of Changdeokgung Palace. It’s where the official gather to greet the emperor on New Year’s day. It’s also where the emperor held national ceremonies and received foreign officials. The Hall is a two-story building, with 5 rooms in the front and 4 rooms on the side. The top of the roof was decorated with a plum design, which was a symbol of an imperial family during the very end of the Joseon Dynasty. Injeongjeon is one of the three great halls along with Geunjeongjeon in Gyeongbokgung palace and Myeongjeongjeon in Changgyeonggung palace. It’s the main place that represents the history of the Joseon Dynasty. In front of the hall, there’s a royal walkway and courtyard, both dating back to 1609. On the walkway, there are stone markers with ranks of the officials inscribed on them. The official will stand behind their designated stone marker when they meet the emperor. The higher rank the official is the closer they stand to the emperor. And the lower ranked official will have to the furthest from the emperor. Serving as the main gate of Injeongjeon Hall, Injeongmun Gate was built in 1405 (5th year of King Taejo’s reign during the Joseon Dynasty). Later on, the Japanese destroyed the gate with multiple fires during the Imjin War (Japanese invasion of Korea in 1592), therefore the current form of the establishment displays designs that are more often seen in the late 19th century’s. Injeongmun Gate served as the place for several coronation ceremonies of kings, prince’s succession of the throne, and many other national affairs celebrated by the royal members who gathered and aligned around this gate. It’s National Treasure #813. Jinseonmun Gate is the small inner and middle gate in the Changdeokgun Palace. 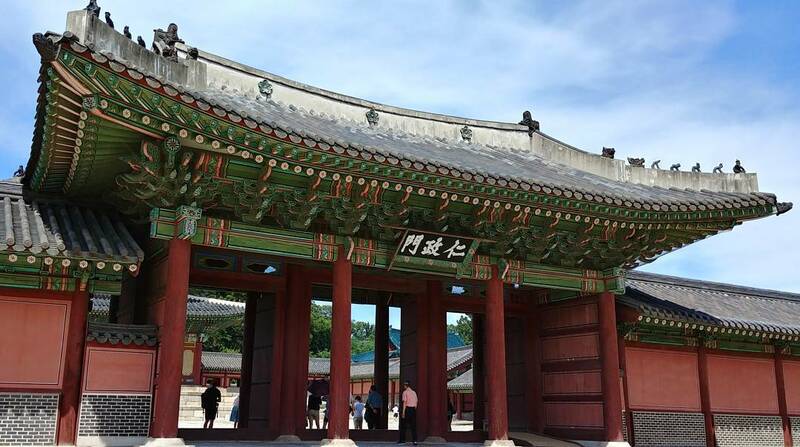 To reach the main throne hall, you must pass under three gates, one of which is Jinseonmun. The other two are Dowamun and Injeongmun. In front of the gate is a wide stone bridge known as Geumcheongyo. Bridges similar to these are a common royal feature and symbolizes purifying oneself who passes over it. Passing over the bridge and through the gate is a sign of royal sovereignty and is often seen at other royal residences in Seoul. The Nakseonjae Complex is a residential compound in the Changdeokgung Palace. In 1847, Emperor Heonjong orders the construction of this complex, during his reign. 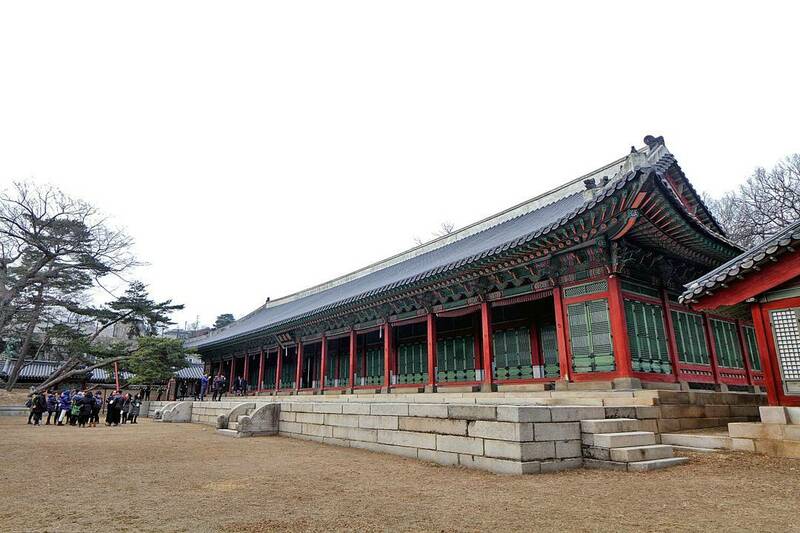 In the complex, there’s Nakseonjae Pavilion, it was a library for the emperor, where he can read and paint. There’s also Seokbokheon, the residence of Gyeongbin. Sugangjae was built for Queen Sunwon, the grandmother of Heonjong. There’s also a garden in the complex. There’s also a simple and beautiful pavilion known as Sangryangjeong or Pyeongwonru before the Japanese occupation of Korea. This place was a resting place and it has a beautiful view of the palace area below. In 2006, after many years of restoration, the complex finally open to the public for the first time. Seonjeongjeon Hall is the main place for the emperor to meet with high ranking officials to discuss political, state, and foreign affairs in Changdeokgung Palace. The king and his subjects would hold seminars and have morning meetings here. He would discuss royal issues and other national affairs. The area surrounding the building act as for storage and offices for secretaries. Attached to the hall is a narrow corridor leads to Seonjeongmun Gate. The corridor was also used in royal funerals when Seonjeongjeon Hall became a royal shrine. It’s the only remaining evidence of its function during funerals. Seonwonjeon Hall is where the portraits of former emperors were enshrined and where people perform ancestral rites. Emperor Taejo, Emperor Yeongjo, and Emperor Jeongjo all had their portraits enshrined at the same time here. The portraits were destroyed in the Korean War (1950-1953). In 1656, They move the building here from the nearby Gyeongbokgung Palace. 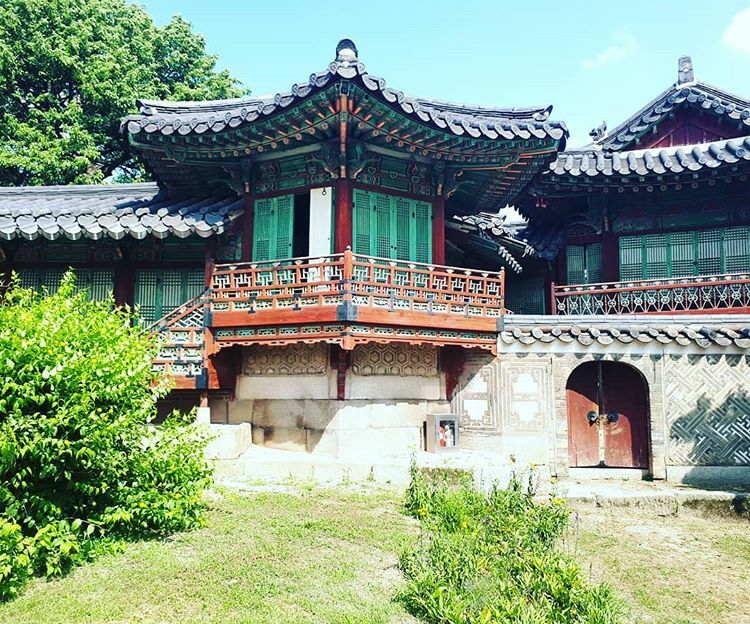 From that time to 1695, people called this place Chunhuijeon.In 1921, during the Japanese occupation, they built a new hall inside Huwon Secret Garden. Now, they perform the Ancestral rites at the new location. In 2005, they restored auxiliary buildings on the left and right of the hall, which are Jinseolcheong and Naechaldang. They actually change the palace’s opening time based on the month. From February – May and from September – October, the opening time is 9:00 AM to 6:00 PM. From June – August, the palace is open from 9:00 AM to 6:30 PM. And in November – January, the opening time is 9:00 AM to 5:30 PM. 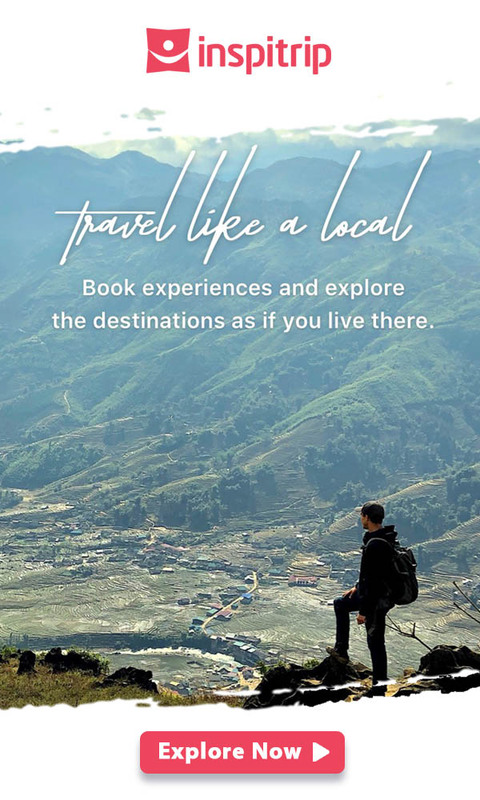 So be sure to check the time before starting your tour. The secret garden also has its own opening time. Throughout the year, the opening time doesn’t change, it’s always 10:00 AM. But the closing time changes. From February – May and from September – October the garden close at 5:30 PM. From June – August, it closes at 6:00 PM. And finally, from November – January, the closing time is 4:30 PM. 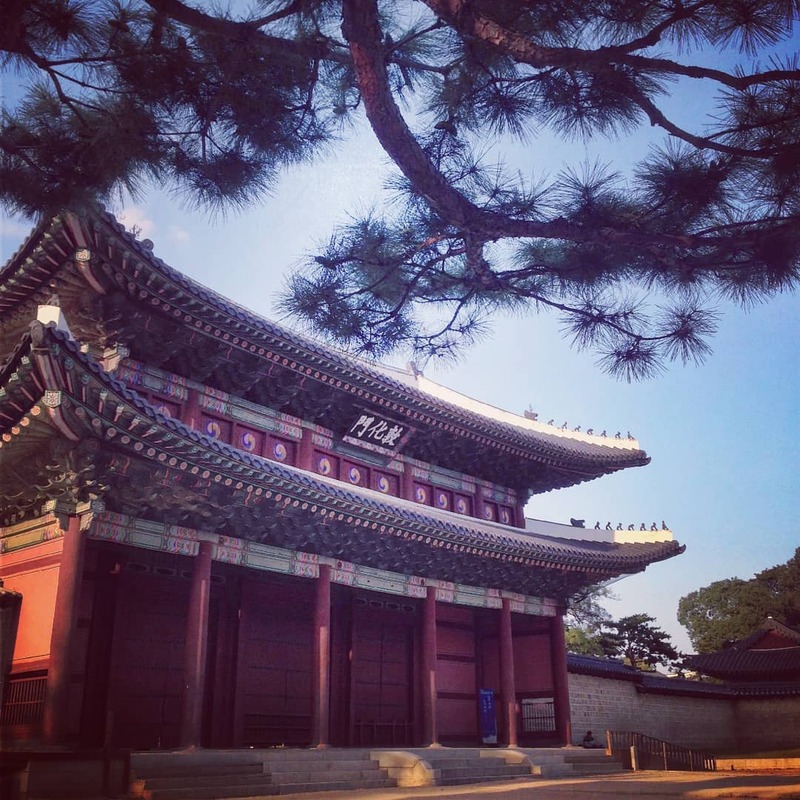 If you want to get to Changdeokgung Palace by taxi, the address is 99 Yulgok-ro, Waryongdong, Jongnogu. Going by taxis also has it perks; you can freely see the sights, just beware that the price probably won’t be cheap. To cut down on the travel budget, try the subway. Just take the Anguk Subway and take the 3rd exit. Walk straight for a couple of blocks, and the palace will appear on your left side. You can also take the Jongno 3-ga Station in line 1, 3, 5 and take the 6th exit. The walk to the palace is 5 minutes if you take the Anguk Subway and 10 minutes if you take the Jongno 3-ga Station. If the subway is still too expensive for you, the bus is just perfect. Admittedly, the bus is slower than the two options above, but its price and convenience are just unrivaled. You can take the number 109, 151, 162, 171, 172, 272 blue buses or the number 7025 green bus to get to the palace. And that concludes our guide to the Changdeokgung Palace. I hope that this article provides you with useful information. And I hope that you have a great trip to the Palace.